Did You Get a Piece of the Edge? 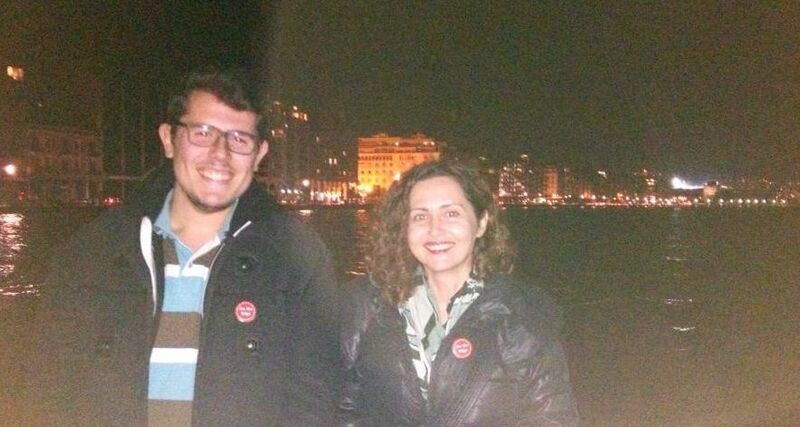 Vasiliki Platioti (right) and Constantinos Dokas (left), in Thessaloniki, Greece, got buttons. Then we’d like to post a pic of you and your button from the Edge on Facebook.